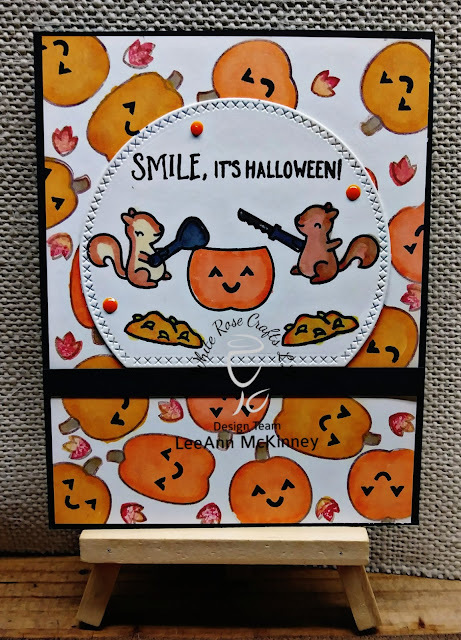 Greetings friends and fellow crafters, it's Tricks, Treats, and Spooky Peeps week over at White Rose Crafts and today I am sharing the fun project I made. Using the Lawn Fawn stamp set "Pick of the Patch" I stamped the various size pumpkins around my panel using VersaFine Clair Nocturne Ink. Using the same ink I stamped out the squirrels, spoon, knife and pumpkin on a die cut from my stash. I let the ink dry and use my Chameleon Markers to color the images. Feeling my project needed a little more, I took the leaf from the stamp set and stamped it around my panel, I then used the second part of the leaf and stamped alternating in red/orange and yellow inks to add color to the leaves. I finished off my project by adding a few nuvo droplets in Ripened Pumpkin. I hope you have enjoyed my project today. The items used are just a few of the add on items in the shop for the October "Glory of Autumn" Card Kit. This kit is in Pre-order status and will start shipping October 1. 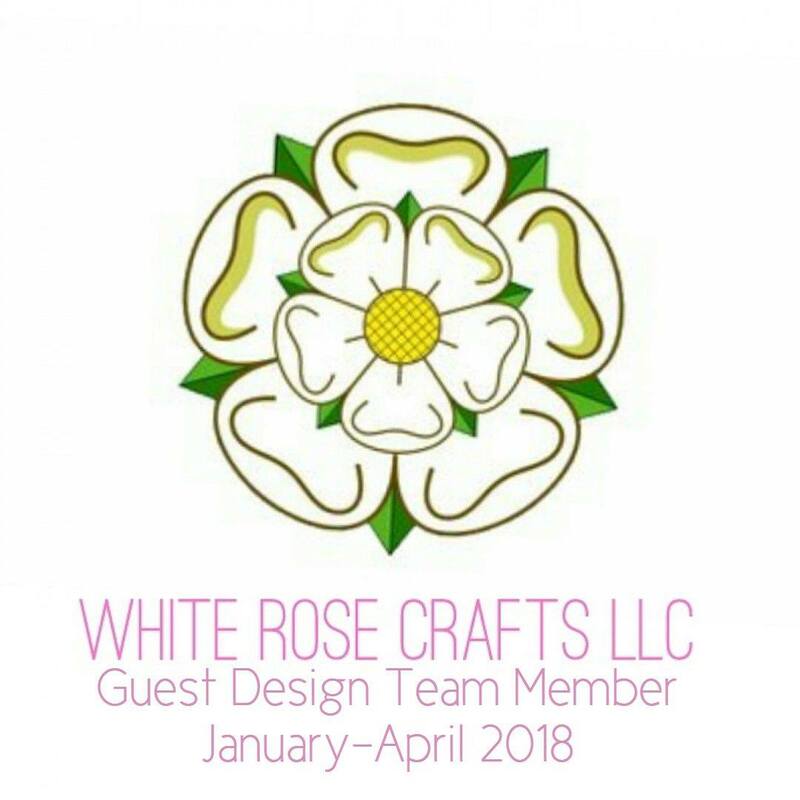 Please be sure to keep your eyes open for the Design Team's blog hop starting September 29, you will have a week to hop along and comment on all the blogs. We will all be using either the kit or add on's. Fun card! Love this cute set!